It’s getting quite festive around here at the moment in terms of myself noticing three Christmas trees inside the store I work at as well as, the hospitality side during the day has its Christmas menu’s all ready to be ordered. It’s only 14th November. On the counting down note which seems to be happening right now across various retailers (have you been to the Christmas Worlds yet at Harrods, Harvey Nicks, and Liberty yet?) and online shopping destinations amongst my shopping in store and online for presents I’ve come across Liberty London’s Beauty Advent Calendar. (I've got to say this one is my favorite and a must have). 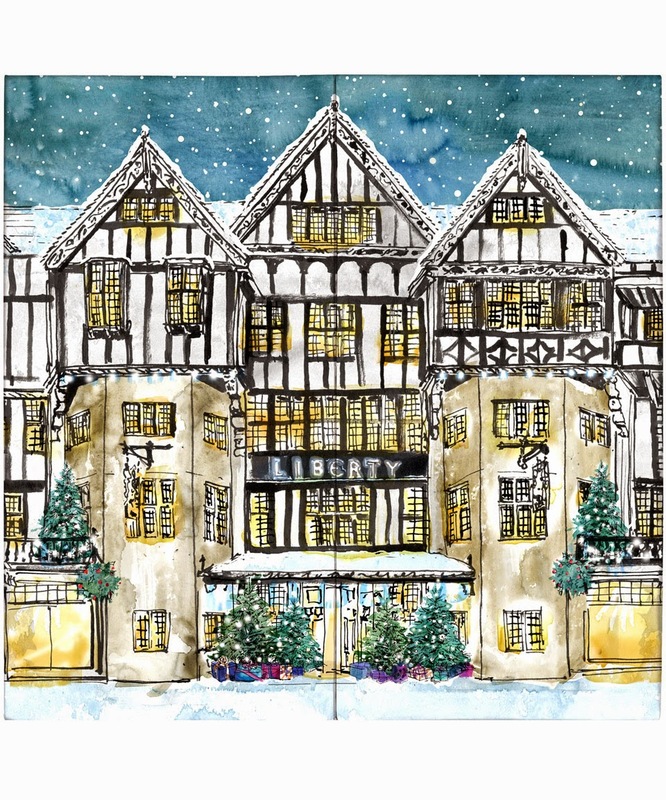 Liberty’s Beauty Advent Calendar this year is adorned by Liberty’s achieve of well-known prints whilst, inside features the most exquisite selection of beauty products you can get your hands on each day ahead of Christmas ladies! This is an excellent gift to someone very special ahead of the festive day where the presents can be finally unwrapped from their boxes and tissue paper. The advent calendar features a selection of beauty products of Liberty's must-have beauty buys, from skincare to scents and everything in between. All being true to size for you to enjoy and add to your beauty routines and prep ahead of the parties amongst, only being available for delivery within the UK. Shop the Advent Calendar here. P.S: Liberty Of London TV Programme is back on Air, Wednesday 9pm, Channel 4. Not to be missed!